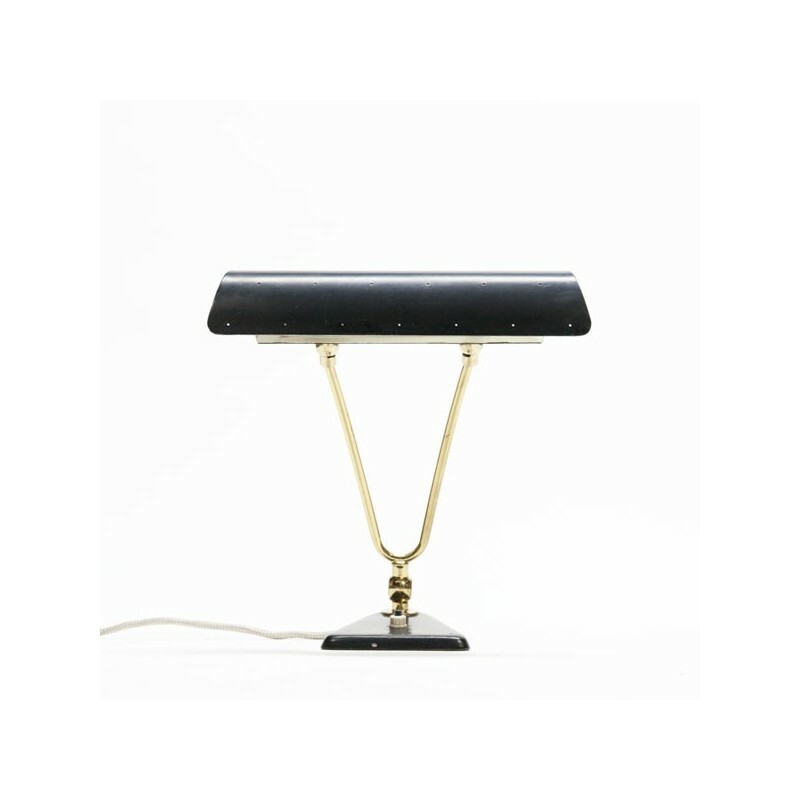 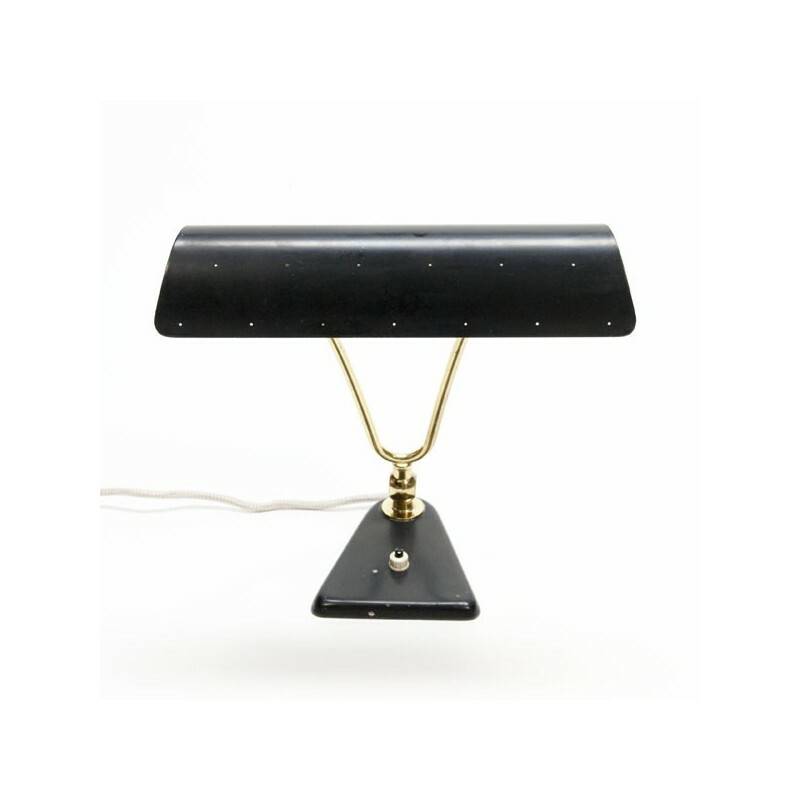 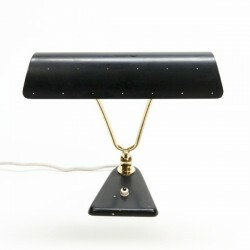 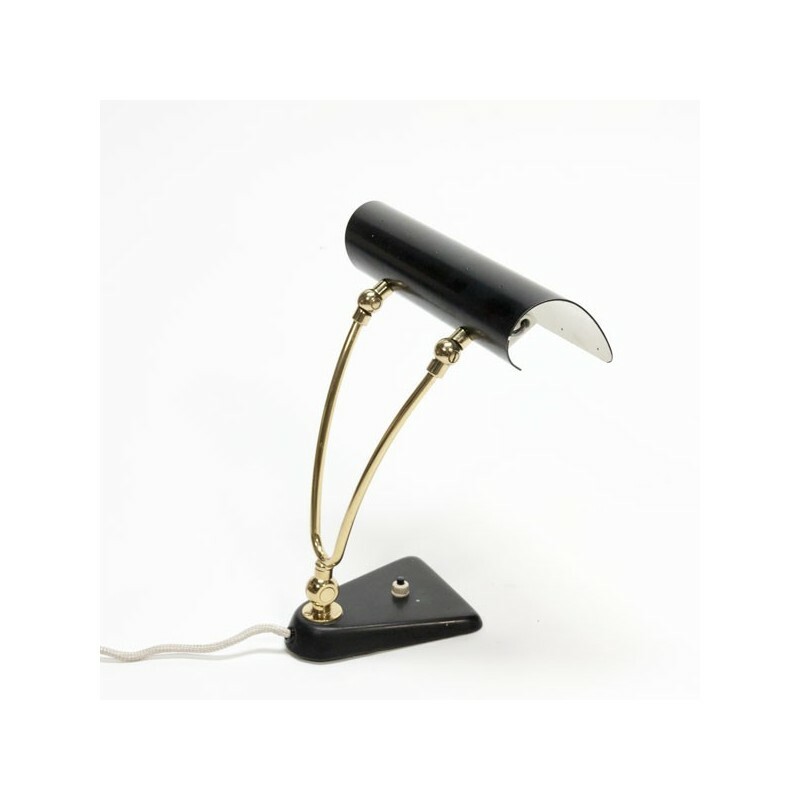 Vintage table lamp with a black perforated metal cap and brass details. 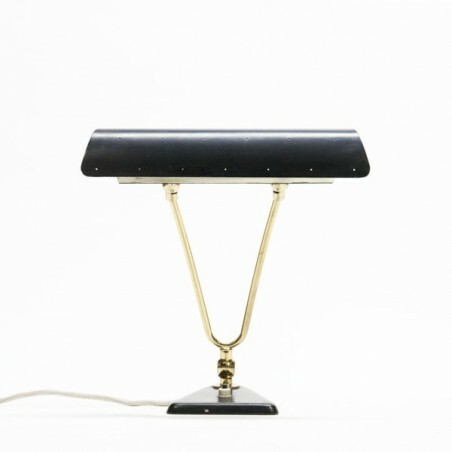 The lamp is beautifully designed. The condition is good considering the age, see also the detialfoto's. 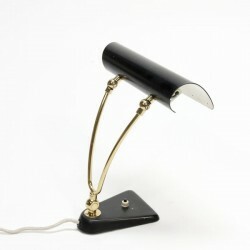 The size is up to 30 cm high and 27.5 cm long.